It was love all around in June at Master Mechanic High Park with a Rescue Dogs First Date and a Father’s Day Surprise! 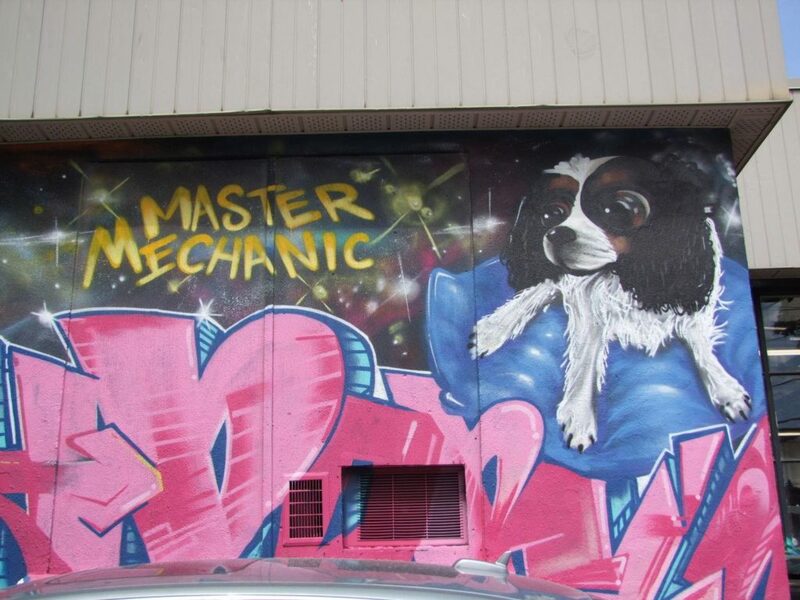 A touching tribute to two unbelievable dogs was unveiled at Master Mechanic High Park’s shop in June in the form of a beautiful mural. 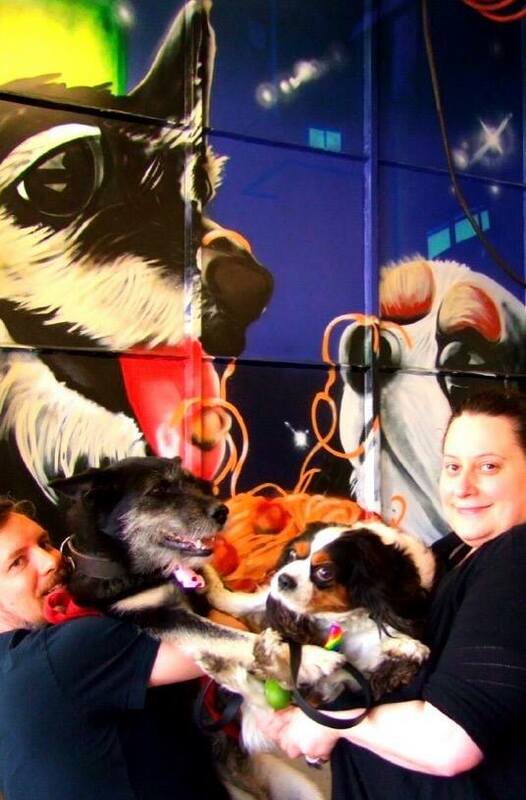 The mural pays homage to Disney’s Lady and the Tramp and depicts Charlie (beloved dog of Josie Candito of Master Mechanic) and Shakedown the Schnauzer German Shepherd. Both have similar rescue stories of love and strength between the two dogs and their owners. Master Mechanic High Park met Shakedown last year through their pet Photo Contest when he came in 2nd place! Shakedown was rescued from a First Nations community in Quebec and brought to Toronto Animal Services (TAS) in 2013 where she underwent heartworm treatment. Shakedown was adopted by Lincoln Stewart, a Roncesvalles resident, who cared for and nursed his new companion back to full health. X-rays confirmed that Shakedown had a bullet, or a fragment of one, lodged between her heart and lung. Lincoln did not give up and today, Shakedown is an incredibly gentle, sweet, calm, and loving dog. Lincoln and Shakedown are the best of friends. The mural, done by local artist MagicFinnga Wong, shows an inspiring love for these two incredible animals and their stories. Read about Shakedown’s amazing story or follow her on very own Instagram account! You can also read about Charlie’s rescue story and how he’s changed Josie’s life. 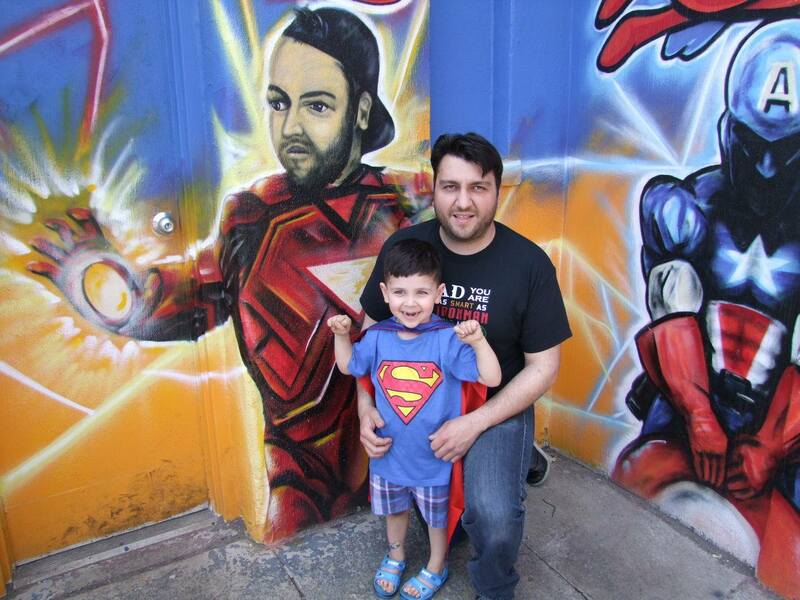 With Father’s Day also in June, Master Mechanic High Park Hosted some small superheroes to surprise the SuperDads of the High Park Team! Staff members Rui and Mike were shocked to see their kids and families pay them an unexpected visit at work in the early afternoon. The two dads were given superhero t-shirts that made for a wonderful surprise on an ordinary Saturday. The shirts fit right in with the superhero motif that adorns the outside walls of the Master Mechanic shop at Howard Park & Dundas. The two families of Mike and Rui conspired with Master Mechanic owner, Josie Candito, for the touching surprise to show appreciation for them as fathers and hard-working employees. After the two dads tried on their t-shirts, a photo shoot followed and happy times all around ensued. It was a great way to acknowledge two outstanding individuals in the community for the super jobs they do!